Among the illegal activities that the NSA is currently engaged in on the internet is site jamming. According to 12 year NSA veteran Wayne Madsen the NSA is also actively spying on NGOs and human rights organizations as the attempt to monitor every type of communication that exists all over the world. Joining the NSA and their SIGINT alliance called FVEY are another 35 countries that routinely allow the NSA to access their networks and assist the NSA in spying on their own citizens. Surprisingly one of these countries is Germany which was recently surprised and outraged that the NSA was spying on Chancellor Angela Merkel. 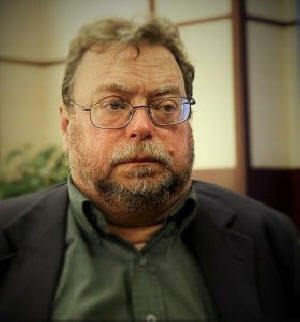 During the interview with John Robles, Mr. Madsen also had the chance to defend himself after a vicious attack from US neo-conservatives caused an interview he gave to the UK Observer to be pulled because Mr. Madsen was critical of Obama. Robles: This is John Robles, I'm speaking with Mr. Wayne Madsen, he's the Editor of the Wayne Madsen Report in Washington DC. Madsen: Hi, good to be with you. Robles: A pleasure speaking you. What is going on in your opinion right now with interference and spying on the Internet? Now I am asking this because, and it hasn't really been touched upon in the media, but judging from all my contacts, which are not small in number, reports I am getting from all over the world, is that there has been some weird things going on with the internet. I am talking e-mail disappearing for 3 or 4 days and all kinds of stuff. Have you noticed that since Edward Snowden's revelations? Madsen: I've noticed it and I've noticed an increase and I don't know whether it is because we now, because of Edward Snowden's revelations, we know exactly how it is done. I think in the past even I would joke with other people about yeah I didn't get your email probably the NSA – "Ah". It's more of a joke, but now that we see how the NSA is actually inserting itself as the, as for example what they call 'man in the middle' operation, also these metering of websites – it is not really a joke anymore because we now know how the NSA and its partners around the world can conduct this type of surveillance and in some cases its interference. Robles: I've had real issues in the last couple of months and I know a lot of people who run kind of alternative media websites, and they've had all kinds of problems. Regularly my email keeps disappearing and I use different accounts and I am writing all over the world, so this never happened like this before, not regularly and not this often. So I am a little concerned about it. Madsen: I think everybody has a right to be concerned and should be concerned because as far as my own website has experienced problems, where it is almost like the old jamming that used to take place during the Cold War where radio stations would be jammed by whatever opposing side did not want that information being heard within their borders. So, it is almost like this jamming where people would go to my website and I know this is happening to other websites, and I will get one of these error messages, there are other different kind of messages - this error security token, something that makes no sense except to maybe some very good programmers. But when you try to refresh the screen, then all of a sudden the site will come up. So, it is almost like if somebody goes to a website "Oh the website's down", and they move on. But the website is not really down, it's being - I would call it jamming. And I am actually surprised that anyone at NSA these days would be old enough to remember the days of what they called MIJI, it is an old technique, called meaconing, intrusion, jamming and interference. And this was done when most communications took place over the radio frequency spectrum. Now it doesn't happen anymore, now these communications are digital, they are carried by fiber optic cables, for example. And now we know the NSA is able to tap into these fiber optic cables. Because of Snowden we know now that anything, in any way shape or form, that has to do with surveillance or interference, can be done by NSA and its partners because we've seen the blueprints thanks to Snowden. Robles: I see. What happened with you back in the summer, on the front page of the Observer, I believe it was? It was quite a scandal. Madsen: Yes this was one of these, what I called drive by journalism; I wouldn't even call it journalism. I was part … I used to work for an organization called the Electronic Privacy Information Center, which is the NGO based in Washnigton DC. Back in the 1999-2000 timeframe I testified before the European Union Parliament, they sent a delegation of parliamentarians to Washington. We met them at the delegation for the European Union in Washington. It was not a full-blown hearing but they wanted to know about NSA's capabilities, especially a system that was in the news back then called Echelon, and that's now been replaced by new technology but it was basically an intelligence sharing system among the what are now know as the Five Eyes Partners. That name wasn't used back in 1999, they were called the UK-USA Signals Intelligence Alliance Partners. But this is the United States, the United Kingdom, Australia, Canada and New Zealand. It was well-known they were spying on the European Parliament in those days. Again much of what Snowden has reported more recently was taking place back in 1999 except we didn't have a smoking gun document appearing as we have had with Snowden. But anyway I had testified about even things that came out just within the last 48 hours about NSA monitoring NGOs and organizations like UNICEF. Back in 1999-2000 I testified, based on a Freedom of Information Act request, that were made to NSA. We had documents that showed that NSA was spying on groups like Amnesty International and Christian Aid. Robles: Now this was all … I'm sorry just for our listeners now. Can you tell our listeners what is your background with the NSA? Madsen: Yes, well I was in the US Navy as a Lieutenant back there in the 1970s/1980s, and in the middle 1980s I was actually assigned to the NSA, I worked in NSA and then after I'd left the Navy I continued to work for an SA contractor which was RCA, which actually had most of the patents on the old NSA technology as it existed in those days, anyway it was mostly radio frequency direction finding. But I had been associated with NSA, working there, working with them for a few years when I was in the Navy, and you know like post-navy time. So, I was able to see it from the inside. But I do remember one thing, even back in the late 80s when people like General Alexander, the Head of the NSA, Director of the NSA said: "we don't want to listen to every communication, we are not interested in everybody's phone calls". Well, that is not even close to what their intentions were in 1986 because I clearly recall the goal of NSA - and this is from seminars and meetings that I attended with NSA people, putting this information out - they were saying what we want is total earability, now that is not even a word. But in those days remember, this was before the, largely before, the worldwide web. An Internet existed, but most communications were by telephone, fax; cellphones were only coming in to play. But when they said a total earability, they meant they wanted to hear everything. I don't think anything has changed. From what we know about Snowden's revelations, nothing has changed. Their catch has gotten wider because of more technology available. But anyway, back in 2000, I told the European Parliament about what we had uncovered in the NSA, even eavesdropping on Princess Diana, and only because of her work with the anti-landmine campaign. And this made news, and then it was relegated to the back shelf. And everybody forgot about it, and now we have recently heard, yes, now they are fighting against organizations like UNICEF. Robles: So, a lot of the stuff that you actually exposed and blew the whistle on, this was stuff that then Edward Snowden has repeated and he has gotten the world's attention. But when you did it, it was pretty much ignored. Am I correct? Madsen: I actually was on 60 Minutes when 60 Minutes wasn't a PR operation for the NSA, like it recently was when it ran a very pro-NSA … 60 Minutes ran a very pro-NSA piece. But they featured me on 60 Minutes back in, I think it was in 2000, when the story broke. It got its sort of Andy Warhol 15 minutes, but then that was the end of it. And so this past year in the Observer called me because I gave an interview to an old colleague of mine, Simon Davies, who was the founder of a group called Privacy International, and we were looking at this whole situation with Angela Merkel saying "Oh I am shocked that NSA is spying on my cell phone", when in fact we knew that the NSA, in addition to those 5 English speaking partners, had third party partnerships with non-English speaking countries where these countries were assisting NSA and collecting this intelligence, and among them were Germany, France, and I named them, I named them to the Observer. They interviewed me, and I said it is Germany, it is France, I think I mentioned Spain, Italy, the Netherlands, and now we all know that because Snowden's newer documents have shown that yes, all these countries and others participated with NSA in eavesdropping. Robles: Can I ask you for some details on that? That's very interesting. Now what you are talking about, it is called Five Eyes, or Five Eye, it is the intelligence gathering conglomeration or Union, or whatever you want to call it, between Canada, the United States, New Zealand, Australia, and the United Kingdom – correct? And as far as I understand it, for example, NSA needs information on American citizens, they can get the UK to do that legally, and vice versa, if GCHQ needs information on UK subjects, they can ask the NSA to do it because technically they can't spy on their own citizens. Is that correct? If you could I would really appreciate it if you can name as many countries that are involved in this as you dare to? Madsen: Yes, that is correct, and that all came out back in the 90s as well. An employee of the Canadian version of the NSA, the Communication Security Establishment, now called Communications Security Establishment Canada. Mike Frost wrote a book called "Spy World", where he said exactly that, that when Margaret Thatcher wanted to spy on two of her cabinet members, she couldn't get the GCHQ to do it, she got the Canadians to do it, and there were ample examples of the US asking either Canada or the UK to spy on Americans and vice versa. So, this was of course denied by the NSA Director at the time. You know one thing that NSA directors specialize in is obfuscation and really basically lying when they are caught. But what happened when I gave this interview to the Observer, I was immediately attacked by these … this Twitter cell, which is mostly made up of pro-NSA people. One guy is an employee of the US Navy, he is a professor at the Naval War College in Newport Rhode Island, his name is John Shindler, launched this vicious attack on me, called me, basically was interviewed and he used expletive deleted to refer to my interview, and what I had to say, and he was joined by a bunch of others, people with the … you know usual suspects, like the Daily Beast, this guy Michael Moynihan in them, he used to work for Karl Rove affiliated think tank in Sweden. So a lot of these are Neo-Con types – I think they're all Neo-Con types – but anyway they'd attack me as a conspiracy theorist. And the Observer not only pulled the interview off its front page on its website, its paid view, its most important paid view on its website, but they pulled the print edition, which had me on front page, they actually pulled it back from the newsagents. And then the Guardian, its sister paper, also pulled down the interview off their website. So, you know, it is shocking. For me the Guardian gets all these praises because they're publishing Snowden documents, but all of what I provided them was actually some declassified documents from NSA showing that yes there are third parties, and then another one showing who the third parties were. Just a reminder you are listening to an interview with Wayne Madsen. Robles: What exactly did they object to? Why did they pull it? What was the information that they were hiding? Madsen: They said because I am a controversial journalist I am doing what Jacky Anderson used to do in this country with Washington underground and Drew Pearson I publish stories because I have sources and never are they named, but I don't get sources anymore. I embarrass politicians, and so that leaves me open to be called conspiracy theorist and that is exactly what the Twitter campaign was all about because I had done some investigations of Barack Obama's background in Chicago, which the pro-Obama people hate. They hate to see anything negative about their President. I try to say "hey look, I supported Obama in 2008". It's just that when you look underneath, he is not what he appears to be. Robles: Oh you don't have to go very deep either. Madsen: No you don't, no. Robles: Can you tell us, I have a couple of questions here, really interested, what countries were you talking about that are in cooperation with NSA and Five Eye? Madsen: Well we start with the Five Eyes, they are called Second Parties. The first party is the United States, that is NSA. Then you've got 4 others in the Five Eyes, and that is Canada, Australia, New Zealand, and United Kingdom. And then you've got the non-English-speaking NATO countries, for the most part form this other close group – its Germany, Norway, Denmark, the Netherlands, France, Spain, Italy, even countries like Iceland, which doesn't even have a military, have an SIGNIT relationship as we know from some of the Snowden documents. So, you get the Five Eyes, and it is like Nine Eyes, and they're like a little bit close; like the Germans, and the French and the Danes, and then you get the Fourteen Eyes. It goes all the way to like 35, and greater than 40 countries, have a signals intelligence relationship with the NSA. Approximately a decade ago the US NSA did not exist and the acronym was said to stand for “No Such Agency”, that has all changed and we know now that every time we do anything electronically, no matter where we are in the world, whether it be going on-line, paying for something electronically or using our cell phones the NSA is most likely recording everything we do. An ex-member of the NSA named Wayne Madsen spoke to the Voice of Russia and gave us some details about the inner workings of NSA. Mr. Madsen reveals that the NSA has had relationships with not only US allies but with countries such as the Islamic Republic of Iran and the People’s Republic of China. He says it is important to fight to get the truth out and keep the Fourth Estate alive in the US because if they destroy the last outlet people have for learning the truth it is going to get hundred times worse. As for NSA operations and capabilities he speaks about a new NSA facility in Bluffdale, Utah and their Cascade supercomputer that handles information at a level of several yottabytes of data. Mr. Madsen says the NSA is already using biochips as well as laser and crystal type based computers and that they are always ahead of the game, technologically speaking. But do we really want NSA knowing about every little thing we do? It is written on a sign in front of the NSA’s Utah Data Center: "If you have nothing to hide you have nothing to fear", obviously privacy rights and the right to be free from surveillance mean nothing to the NSA. This is John Robles I am speaking with Mr. Wayne Madsen, the editor of the Wayne Madsen Report in Washington DC. This is part 2 of an interview in progress. Robles: What countries were you talking about that are in cooperation with NSA and Five Eye (FVEY)? Madsen: Well we start with the Five Eyes. They are called the second partners... The first part is the United States, that is the NSA. Then you’ve got the 4 others in the Five Eyes and that is Canada, Australia, New Zealand and the United Kingdom. Then you’ve got the non-English-speaking NATO countries, for the most part, form this other close group, which is: Germany, Norway, Denmark, the Netherlands, France, Spain, Italy, even countries like Iceland which doesn’t even have a military have a SIGNIT relationship as we know from some of the Snowden documents. So, you get the Five Eyes, and then it is like the Nine Eyes, and they are a little bit close, they are like the Germans and the French and the Danes. Then you get the Fourteen Eyes and then it goes all the way up to 35 or greater than 40 countries that have a Signals Intelligence relationship with the NSA. Now this is all based on what they have to offer, not every country has a significant signals intelligence capability. Let’s take Iceland for example, what would they provide? Well they would provide obviously some means of access for microwave interceptions because there is a lot of microwave, there is also sub-marine cable feeds that go through Iceland, so that is what they are providing, also probably a pass right into the Icelandic telephone network, so that is what a country like Iceland can do. But when you see a country like Luxemburg too, what they are providing would be basic access. We know for example from the Snowden revelations that the GCHQ, Britain’s NSA, tapped right into the switches of Belgacom the Belgium telecommunications companies. Madsen: Which is what these other partners do, we also know that the US and Israel had a signals intelligence sharing relationships which I know is not popular for some of the old-timers at NSA to read, but that the Israeli SIGINT unit had direct access to raw NSA intercepts. Now this is the same country that viciously attacked an NSA intelligence gathering ship during the 1967 Arab-Israeli war, the USS Liberty, killing 34 US sailors and a few NSA civilian personnel. That is not forgotten by a lot of the old-timers in NSA. So, I think that came as quite a shock for them to see that Israel had direct access to some of the raw NSA data. But other countries of course, the Eastern European countries now, Estonia, Latvia, Lithuania, Poland, Hungary, all have signals intelligence relationship with NSA. Finland and Switzerland do, which flies in the face of their proclaimed neutrality, as well Austria and I mentioned Sweden, so these neutral countries are all participating. In Asia it’s Japan, South Korea, the Philippines, Thailand, India, and other countries all have a signals intelligence relationship with NSA. So, the list is very long, it is either based on limited capabilities or ad hoc relationships. If there is something going on in some part of the world where all of a sudden NSA has some feed because of a certain situation that exists at any given time. It certainly looks like Afghanistan’s cooperation with NSA tapping into the cell phone in that country was only because of the current conflict in Afghanistan, whether that relationship will continue, if and when the US withdraws its troops is anyone’s guess. So, these relationships have a way of coming and going. I should add, way back in the 1970s and 60s NSA had a relationship with Iran, but that was when the Shah was in power. And that was replaced with a relationship with the People’s Republic of China. So yeah, these relationships sort of change with the times. Madsen: Yes in China. When NSA lost its two listening stations, which basically monitored Soviet telemetry for nuclear tests and missile tests, we had, NSA had, a few stations in Northern Iran. When they lost those, they were replaced by two stations in Western China, in Xinjiang province. Whether those are still operational now, I am not sure but they used to be. NSA stations even had code words like, we know from Snowden’s revelations, we know a lot of these code words that have come out, they are very strange for somebody who’s never worked in NSA to hear these code words (or cover terms is the more exact term), the two for China were Saucepan and Saugus. Whether Saucepan and Saugus are still operational, I have no idea. I have been out of that for a long time. Robles: What kind of backlash have you had living in the US because of your work and your revelations and what you have been doing to fight for the truth? Madsen: Well, it’s not easy, thank God I haven’t wound up like Jack Anderson, where people in the Nixon White House were determining how to assassinate him and somebody suggested: "Well you can’t really get him drunk, or put something in his drink in a bar because he is a Mormon, he has eight kids, he doesn’t drink. So, they were figuring out some way that could cause his car to go off the road and it would burst in the flames and the autopsy would be meaningless at that point in time, which I think this was actually discussed by some of Nixon’s cronies on how to get rid of Jack Anderson. So, it with the fiery death in the car crash of Michael Hastings. I recall that that is exactly how they were going to get rid of Jack Anderson. But it is not easy because first of all, you’re poverty stricken doing this kind of journalism, you are not going to wind up on 60 minutes or MSNBC or any of the big networks, so it is not easy but I think it is really necessary to keep the Fourth Estate alive in the US because if they destroy our only outlet now which is the Internet, then it is going to get hundred times worse. People will not know what is going on and the whole purpose of the Freedom of Press in the First Amendment was: Jefferson, Madison and the other founders wanted to keep alive the press as it existed in those days, and in those days it was largely pamphlets. The printing press was available to just about everybody and they would roll off these pamphlets with the most un-sourced vile information, commentary, but they saw there was a need for this free form of speech and they wanted to protect it and I know there’s many blogs out there that are questionable, dubious in nature, but I think the founders would say "keep them all alive", let the readers determine which blogs are legit and which aren’t. What happened after I was interviewed by the Observer, was this vicious attack, even CNN had four panelists on, three of which were from the Daily Beast, which had attacked me originally, and they were just calling me out on the story, saying I was fableist, saying I was a conspiracy nut, that the Observer and the Guardian should be ashamed of themselves of interviewing me, and this is CNN, this is what CNN’s become. Ted Turner told me himself, at the United Nations a few years ago that if it had to do it all over again, he wouldn’t have gotten into that deal with Time Warner and AOL, that destroyed the network but it is too late. So, CNN can attack me all day long. Its founder told me that "they are screwed up", so I will take his word over Wolf Blitzer or any of those clowns at CNN, I will take Ted Turner’s word over anything they have to say. Robles: Ted Turner said that himself? Madsen: He told me that, yeah, at the UN. It’s screwed up. He said it is all screwed up. He said, "How it’s messed up? Don’t get me started on that!" Robles: What was that, if I remember right, that ‘91, right? Madsen: When CNN became part of Time Warner? Madsen: It was actually after that. That was actually their heyday when… after they covered the Gulf War, I think it was in the mid-90s, I want to say 95 or 6, right after Clinton got through that telecommunications reform act that we saw these mergers taking place which of course Clinton has really done more to destroy the free press in his country than any other recent president. You’d have to go back to Woodrow Wilson to find somebody as bad as Bill Clinton. I think it was after that, ‘96-‘97, when we saw the merger. Robles: Couple of questions here: you mentioned at the beginning, Echelon. I wanted to ask you a personal question because some friends of mine, we did a little experiment on Facebook when all this started coming up, we have these lists of old Carnivore/Echelon key words and one of us posted them on a Facebook page (a post with all these key words on it) and within about 7 or 8 minutes the thing had about 7,000 hits, whereas normal posts wouldn’t get that. Are you going to tell me Carnivore, Echelon are no longer active because it seems like they really are? Madsen: Yeah. X-Keyscore. Because of Snowden we now know what these new names are and I would imagine NSA is changing them, or started to change them in the minute they had the Snowden disclosures, I mean you would call that "compromised". In the old days, you could put all the key words on there, some people thought it would slow down NSA’s ability to monitor everything because you could just jam it with so many keyword but these are not humans that are doing this, these are actual programs, that NSA… sophisticated programs are out there that are capturing these key words. So, computers don’t sleep, they don’t demand a paycheck, they work 24/7 and they are more powerful in some cases than human brain. Robles: Can I ask you a technical question, you can comment, you can not comment, as you wish. Can you comment on the size of their network? Madsen: Yes, we know that there is a new NSA facility, in Bluffdale, Utah that can handle… this is one of these numbers with so many zeros, I forget how many zeros come after the one but it is yottabyte of data ( a yottabyte). That is a lot of information. These are not 7,000 computers, these are new generation super computers. NSA was the first user of the Cray Super Computer by the way because they would do so much number crutching to try to break foreign encryption codes. NSA has always been the biggest customer for the best and the biggest and the most powerful super computers but now it is not the size of the computer (I mean physical size they used to be fairly big) now it is just their capacity. So what you have out, Utah, in Bluffdale, are a lot of really sophisticated next generation super computers to mine data, break codes so forth and so on. And I do remember that the NSA, this was over 10 years ago, was looking at biochips, binding silicon with biological material because it could actually… they found out that they could perform calculations much faster and I think they have also gotten involved in lasers and crystal type based computers. So, this is pretty far advanced stuff, almost sounds like Star Trek stuff. I have to say one thing about NSA and I know this from being there, every NSA director will tell Congress: "We can’t keep up with the threat, we need greater capabilities", which means we need more money. But NSA directors have always understated their capabilities and overstated the threat, that is how they keep in business, that is how they get the billions of dollars they do to get all of this new generation hardware, and they are always way ahead of the game, they are not behind the game, in technology. Robles: You don’t know anything about something called Genetic Algorithms do you? Madsen: I think that gets into some of the state-of-the-art business that they are involved with. I’ve been out of the business for a while. I was in the computer security business full time in 1997, so I know there’ve been all kinds of improvements but anything that sounds futuristic, NSA is either helping to fund the study, or helping to market or produce whatever product it is. So the latest revelation is that RSA which was a very sophisticated 124 bit algorithm, that everybody thought was safe to use, banks would use this for even ATM transactions and whatnot. Now we know that NSA cut a deal with RSA, that they were able to break the RSA encryption codes. Back when I worked with people in RSA, back in 90s, that would have been just shocking information because they said: "Look, we don’t have any deals with NSA", but apparently later they did after the company was sold and acquired by somebody else. So, anybody who says that something is NSA-proof is probably not telling the truth. NSA will go to a startup company and cut a deal with them, and if they don’t do it then, they’ll wait till the company is successful, and then somebody will buy the company and then NSA will cut a deal with the new merged company. Madsen: Yes, PGP was good in its early versions but then later on, from what I gathered it was compromised, after a certain release. Robles: It was 6.5.8, and then Network Associates bought it. Madsen: Yeah at the end of it. I know Phil Zimmerman, when Phil Zimmermann had the company, he would have never cut a deal like that, but that’s what happens after a company is acquired. Staged suicides, demonization and set ups are just part of the way that CIA and those responsible for 9-11 continue to cover their tracks. 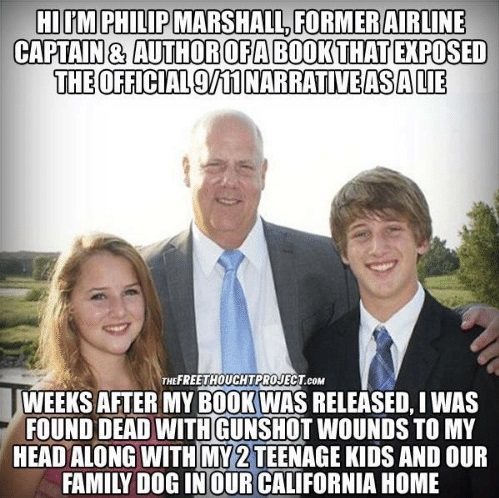 In an interview with the Voice of Russia ex-NSA analyst Wayne Madsen discusses the staged suicide of the late 9-11 author and pilot Philip Marshal and the ties of the Bush family to the CIA and 9-11. Mr. Madsen connects the dots of all of the facts in a way that no one else can and the result is a damning picture of an out of control government run by an illegal and criminal network of evil-doers who will stop at nothing to protect themselves and their amassed power and wealth. From ties to Nazi gold, and a family fortune based on it to positions in the CIA, Madsen details some of the connections that the Bush clan has with the introduction of American fascism. This is John Robles, I’m speaking with Mr. Wayne Madsen, he is the editor of the Wayne Madsen Report in Washington DC. This is part 3 of an interview in progress. You can find the previous and following parts of this interview on our website at voiceofrussia.com. Robles: You’ve done a lot of work towards 9-11, I think. Before we got on the air here, you told me a little something about something that happened to you in California. Would you care to speak about that? Madsen: Yeah, when I was in the Navy I used to handle issues like contingency planning, continuity of government, continuity of operations – these are all operations basically how to react to a fifteen-minute warning that a Soviet cruise missile submarine somewhere off the coast of the United States near Bermuda launched its nuclear tipped missiles at Washington DC. That means fifteen minutes to react. Now, most people, you know, basically – what are you going to do in 15 minutes, except sayyour prayers. It was very hard for me to believe that within a few-hour period on September 11, 2001 that the entire system, that I remembered would alert national command authorities and so forth and so on on any type of incident, would have just collapsed like that, in almost like a cascading series of events. After the shock of 9-11 wore off, which was probably about a day, I started looking into it and things didn’t add up, so that is why I became a skeptic. I was a skeptic. Like I say, within 24 hours I was very skeptical of what I was hearing. You know, the story that was being… like the Kennedy assassination, anybody with a half an ounce of the intelligence would not believe the WarrenReport. Likewise I didn’t believe the 9/11 report, now neither do the two authors –Governor Kean and Lee Hamilton don’t believe their own report either. Robles: Now you just put those two events together and I myself, I believe they are connected in a way. The same people who got away with the Kennedy assassination and were behind project Northwoods, and they have been in the background all this time. I think there might be a connection between 9-11, it was almost the same type of operation as Northwoods, only the scale was different. Do you give any credence to that theory? Madsen: George Bush. And George Bush’s son, who was President of the United States,George Bush Senior,was meeting earlier that day in Washington DC, that’s talking about 9/11 (7-11), with people of the Carlyle Group including a cousin of Osama bin Laden at the Ritz Carlton Hotel in Washington. So here we have the same family – the Bush family. And what else doesthe Bush family have their fingerprints on? Everything that came in between, every major scandal: Watergate, the October surprise that drove Jimmy Carter out of office, and later Iran-Contra. You know, their fingerprints are on everything. So, the two bookends, if you want to look at them as bookends for American fascism, the introduction of an American fascist state: the Kennedy assassination of’63 and 9-11 in 2001, and every little thing that helped keep the momentum going- Watergate, October surprise and Iran-Contra. There are a few other scandals you can throw in there, but they are the major ones. Robles: You talked about Bush being outside the Book Depository. Are you sure that was him? Because there have been arguments. All I’ve seen is pictures on the Internet and stuff. It looks like it could be him, maybe it is not. Are you sure? Madsen: Yeah, I’m pretty certain because Bushwas checked in that day; he was checkedinto the Sheraton Hotel in Dallas, and his wife Barbara Bush, who I don’t think should be believed necessarily, she claims that her husband was speaking at some sort of, I think a Kiwanis club meeting or something like that in Tyler, Texas. Well, Tyler, Texas is pretty far from Dallas. So, why would you be booked into the Dallas Sheraton and be speaking in a town almost near to the Louisiana state line. It makes no sense. But of course, the Bush family we know…you know,they’re great believers in what Hermann Goering said; "…if you tell the lie long enough, people start to believe it." They are masters of that, they’ve been masters of that through generations; from Prescott to George H.W., to George W. and all the other siblings. Their stock-in-trade is the "Big Lie" and they’ve always had Wall Street and the media basically go along with it. Robles: Do you know anything about… there was an FBI report that day and George Bush, he actually called in a report on…(now this came out eventually, it was an FBI report where George Bush, he put himself in the location) but he called in a report about a suspicious character or something trying to pin it on somebody. Do you know anything about that report? Madsen: Yeah, that was a report, George Bush, I think it was identified as George Bushof the CIA,talking about a guy named, with the last name of Parrot. And yeah, and it just shows that Bush had a relationship with the CIAin 1963 and was present in Dallas. Now later they were trying to… again you get back into the Bush "Big Lie", later they said: "Oh there was another George Bush in the CIA". But they looked… Yes there was, there was a guy named George Bush, but he worked at the National Photographic Interpretation Center (NPIC) in Washington DC. This is a group that analyzes satellite photos, Soviet missile sites and stuff. So, what in the world would that George Bush have anything to do with anything going on in Dallas or Houston or anywhere else? Madsen: Yeah, he had a different kind of job, he was a low-level photographic, and that doesn’t explain who this other George Bush was down in Dallas. Of course, that’s because it was the George Bush, who was the 41st President of the United States. Madsen: Yeah, I read that a … and I didn’t even know this guy and I’d not read his books. I may have met… in retrospect I realized I’d probably met him at a 9-11 Conference in New York City which was held on the 10th anniversary in 2011. Anyway, his name was Philip Marshal, he wrote two books on 9-11. He was this Boeing 757 and Boeing 767 pilot for United. He was a very good pilot. He had previously flown for Eastern, before they went out of business. He was originally from New Orleans, and he wrote these two books and he questioned the whole 9-11 Commission. He looked at it like, from as a pilot. You know, these planes made maneuvers that a pilot couldn’t do. I mean, he knows these planes, and he was I would say one of the top pilots for United on those two aircraft. And he also, before he wrote those two books, he wrote a book called Lakefront Airport,and that was about his time, it’s a novel, but it was really about his time flying a guy namedBarry Seal around. And Barry Seal was also an ex-Eastern pilot who went to work for the CIA. 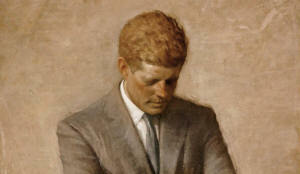 There is also a connection between Barry Seal and the people who killed John Kennedy because he was a member of this Committee of Forty which was people in the CIA like E. Howard Hunt, Felix Rodriguez and others, Ted Shackley, the Blond Ghost they called him. So, he was involved with those people. And then later he became a contract pilot for the CIA and was flying weapons to the Contras. But he got nailed in some drug stuff. The DEA and the CIA have never gotten along, because theyare always usually firing guns at each other, because they had two missions. Robles: They said he shot himself twice in the head? Madsen: Yes, that’s what they said. Robles: Like the kid in, the MI6 guy in the UK, who was going to expose stuff to WikiLeaks and they found him locked inside of a duffle bag. Do you remember that one? Madsen: Yes, inside of a gym bag. He had locked himself in which even Harry Houdini couldn’t have done under those circumstances. Robles: So, what happened with this guy in California please? Madsen: OK, they said Philip Marshal shot his two teenage kids, his 17-year-old son and his daughter who was about 13 years or something, and then he shot his little pet shih tzu dog, and then he turned the MAC-10 on himself, it is a semiautomatic weapon. Robles: What do you mean he wanted the house cleaned up? Robles: The sheriff was doing that, he was looking for cleaners? Madsen: He called, one of the county officials told me, she’d got a call from the sheriff saying: "Do you know…" because this was Super Ball weekend. I should also say that Pill Marshal was a great football fan, especially a fan of the New Orleans Saints, because he was from New Orleans. Now the Saints weren’t in the Super Ball this past year, but the Super Ball was held in the Saints’ home field, the Super Dome in New Orleans. So, he was telling everybody: "Oh, yes, I can’t wait to see the Super Ball and the Super Dome". And so that he supposedly shot himself and his kids, and his dog between Thursday night and Saturday morning, the coroner finally said it was Saturday morning, because that’s when the bodies were found. That’s not a very good, that’s a very bad investigation. But the Super Ball was Sunday. So, the Sheriff calls a county official on Saturday night and says: "Do you know any cleaning crew that’s working over the weekend that can start cleaning the house up?". And she said: "I don’t know, I’ll look around". And she found somebody that was willing to work on a Sunday, Super Ball Sunday. And yeah, they came and started cleaning the house. But the crime scene, the investigation was not completed yet, because afterwards there were vehicles at the residence from the state of California, some with the antennas on the roof, you know, these black SUV’s you can’t look into. That was also, the sheriff said: "This is a local – we are handling this investigation locally, there is no outside involvement". That was basically put to rest with the fact that state vehicles were there. And the computer, Phil Marshal’s computer with the copy of whatever he was working on for his third book… he was looking specifically at what is known as the "Boneyard", the Pinal Airpark, also called Marana is, it is right outside Tucson, Arizona. Robles: That’s where the Pennsylvanian and the Pentagon planes probably are. Madsen: Yes Marana, it’s the Marana air field, also known as Pinal Airpark and a lot of CIA stuff goes on there. It was the headquarters for a CIA front called Evergreen International Airlines, which basically took over a lot of the functions of Southern Air Transport. Air America, that was very big during the Vietnam War, and other proprietary airlines: it is all there, it is all there. So, his computer disappears, I was told it was taken to Sacramento to the computer lab run by the Department of Justice for the State of California. So, there was outside involvement. The sheriff had continuingly misspoke or basically adds just a nice word that PR people use for lying, and devalues the real word. The sheriff continued to lie about the case, and the case is closed now. You know "Marshal did it," you know and they fed it, "… oh, yeah he is one of those 9-11 kooks, you know they do it, they shoot themselves or kids, see how mentally unbalanced, they all are". So, somebody wanted to shut down his investigation. But I believe, and I don’t know this for fact because I haven’t picked up where he left off. I think just looking at the "boneyard", as maybe the source for some of the aircraft of 9-11, because there were 757s and 767s parked there, you know airlines go out of business. The reason they park them in the desert is because all you’ve got to do is put cowlings over the jet engines, because it is so dry there is no rust and you just got to protect the engines and other airplane parts from the desert sand. I think that’s what he was looking at. At least, that’s what I got from talking to members of his family when I attended his funeral service in Louisiana, which was held about two months afterwards, after his death. Robles: Back to the place that you are talking about, one more time, where is it exactly? It is called the Boneyard. Madsen: There are two parts of the Boneyard and people can actually type in boneyard or Marana air field and they’ll see this huge desert, it looks like a parking lot for airplanes of every type, for every era. It is like a museum of aircraft. You’ve got the old DC-3’s and you’ve got the 757’s, 747’s. I don’t know whether any of the Dreamliners are there yet, but given the status of those, they may be there soon. But that’s the civilian part. Then there is Davis–Monthan Air Force Base which is right next to it and that’s where the military planes are. And then again, that’s like a huge parking lot of every type of military aircraft you can imagine, from the small transports, small jets to the large C-5A’s even. So, anybody that drives onInterstate 10 past Tucson cannot help but see this thing. I remember seeing it, it was amazing. It is like the airport that never ends. It goes on for miles and miles. But anyway, that’s what he was interested in, that’s what he was investigating. And he had mentioned that he had been stopped a few times by security when he was in the area, they wanted to know what he was doing there. So, he definitely was sniffing around this facility, and that had to be that he would be suspected. The only other thing I can say is based on his playing pilot with some of the Iran Contra boys, like I should say Barry Seal, who used to fly for them, he was gunned down in Baton Rouge before he was going to testify about Vice President George H.W. Bush’s involvement in drugs importation, he was gunned down gangland style in Baton Rouge in 1986. And when they’ve looked in the trunk of his car, he had George H.W. Bush’s – the then Vice President – his personal telephone number. A former pilot who had admitting to working for the CIA in the Iran Contra affair and had written several books investigating the events of 9-11, was found dead along with his children in what many are calling a Black Operations hit, including former US National Security Agency Officer Wayne Madsen. In an interview with the Voice of Russia’s John Robles Mr. Madsen says the author was working on his fourth book which he said would expose information that would be a bombshell and blow 9-11 wide open. The author had been told that the key to solving 9-11 was at the “Boneyard” (the Marana Air Field) in the US state of Arizona. The events of 9-11 continue to be the subject of intense investigation and Mr. Madsen reveals that he had talked to people who worked for the CIA, NSA, Defense Intelligence Agency, and the National Geospatial Intelligence Agency and they had all pleaded to testify about what they knew to the 9-11 Commission, but they were not allowed to. Why? This is John Robles, I’m speaking with Mr. Wayne Madsen, he is the editor of the Wayne Madsen Report in Washington DC. This is part 4 of an interview in progress. Madsen: What I was told is that two of his old colleagues from the Iran Contra days had come to Phil Marshall and said you need to look down at the Marana Air Field. That is going to help you solve the case of 9-11. So he got this from people on the inside. Robles: I see. Two questions regarding… (now that kind of makes it clear to me a little bit) remember the rotor that they found in the Pentagon? They said it was from a… I can’t remember the exact name of the plane, but it was an old outdated jet, they said and when you just mentioned this "boneyard", I thought where else could they find an old plane like that? Do you remember that? Madsen: Yeah, I remember, there were all kinds of problems with some of the aircraft parts and there was also that piece of an aircraft they found between two buildings in a narrow alleyway in Manhattan. They were trying to say that that was missed for like 11 years, nobody ever found it on 9-11, I mean the planes that hit the trade center . Yeah, I mean, there is all these anomalies, sometimes people who question their government’s official lines on these things are accused of being conspiracy cooks and conspiracy nuts, but the people who come up with these government explanations really are the real lunatics. You’d have to be a fellow lunatic to believe their stories. Robles: Yeah. I think any kid would tell you that, I always liken it to this: I mean, you stand a pencil on its end, you hit it on the side, it is going to fall over, it is not going to implode and collapse into its own footprint. So there it is… even a ten-year old kid would tell you that there is something wrong there. Now, back to Mr. Marshalll, you think he was killed then? And they killed his children as well? Madsen: Well what I believe happened; I don’t think his children were intended targets. Robles: Of course, I mean. These people, they just come in, they wipe everybody out it doesn’t matter. Madsen: Yeah, I think because Phil Marshall normally..on a Thursday night or Friday night his children would have been staying with his (soon to be) ex-wife, the divorce was almost finalized, they also tried to say: “Oh, he killed himself because of that”. But it was a very amicable divorce, he was trying to help his wife out. He actually had paid for her to go over to Turkey. She wanted to set up an import business and start importing some Turkish products and sell them into the various boutiques in Northern California, which there are many. Calaveras County of course is a big tourist destination during the summer months because the local vineyards, and Yosemite being close by. And so that was that he was trying to do for her, she was out of the country so the two kids would normally stay with her, because she was closer to their schools where they attended and because she was out of the country, they were staying with him. So whoever would have been tracking Phil Marshalll’s routine would have said: “Ok, it is Thursday night, he is there by himself”. Robles: So, the kids were not supposed to be there. Madsen: The kids were not supposed to be there and neither was the dog. The dog belonged to the wife and he was taking care of the dog. And I’ve already figured the dog was probably the first victim because it was a small dog, Shih Tzu, one thing they are they are not a German shepherd..
Robles: Sure, they are not going to attack of course. Madsen: Yes, they are going to make hell a lot of noise and then obviously it was a professional hit. It was a professional hit. The crime scene that, the whole scene had been laid out to kind of indicate… but there were some real issues, like I talked to the first witness who found his body, he said that he was lying on top of the Mac-10 and clearly that the bullet had entered the left side of his head but he was right-handed. So you’ve got to be pretty agile. Again we have one of these cases where the bullet hole is in the wrong side because what hand was preferably used, that happens a lot in these case. Vince Foster comes to mind, that was the case with Vince Foster, Clinton’s deputy counsel, they found him in a park outside of Washington, and unfortunately the gun was in the wrong hand. You get what you pay for, so I’m thinking whoever they hired was probably a second string professional hitman, certainly not like the ones who killed Kennedy, they were the bestmany interested parties had to offer. Madsen: Yeah, and the fat Bin Laden or the skinny Bin Laden or then it was the Bin Laden whose… only his lips moved, it looked like a cardboard cutout, reminds me an old cartoon called Clutch Cargo here where the only thing that moved were the lips, I think there were human lips on like a still frame cartoon spell. That is what they did, yeah. Robles: Do you know anything about the Asteroids? Robles: The Asteroids were a team of assassins, they are supposed to be the best in the world. I just wondered if you heard anything about them. Madsen: Yeah, I have not heard them called that. I’ve heard of them, but you don’t know how much of this is Hollywood. Hollywood influencing the reality or vice versa. Robles: I just wonder because their name hasn’t come up too much but apparently with IMF and with some very complex assassinations their name has come up a couple of times. I was just wondering if you had heard about them since. Robles: So, with Mr. Phil Marshall, I’d like to get your conclusion: is there anything going to be done about that or that is it? Or they’ve whitewashed it and it is gone… ? Madsen: Yeah, I wrote about it and again there was a couple of local papers out there, they really seem to have a problem with Marshall really attacking his credibility. I’m not surprised by that kind of thing. I wrote my piece. But you know, if there is ever any new development in the case I would certainly be right on it. Certainly I talked a lot to his friends and family that didn’t believe that he took his life nor that of his children. But I have to say that, it is a small town where he lived, out there in Calaveras County and just like any small town there were gossipy people who said: “Oh, he was unbalanced”. But I think the people I talked to were much more credible because they were people who held government positions who he knew – he was not a right-winger, he was not a tea-bagger, the sheriff was. As a matter of fact it looked like Phil Marshall supported Barack Obama, even though there is no background that can indicate that. Somebody worked with the CIA during Iran Contra and he was somebody who had attended an inaugural party, he just had attended a week before he supposedly shot himself and his kids. Robles: I see. But the plane, since we are talking about 9-11, we were talking about the Boneyard, Marana Air Field, what do you know about those planes being sighted – the one that apparently hit the Pentagon and the one that evaporated into that field in Pennsylvania? Their registration numbers are still active, and they are spotted occasionally by plane spotters. Madsen: In both cases... I’ve only spoke to one person who said he claimed he actually saw the plane hit the Pentagon and that was from a distance, that was from north Arlington, Virginia. So if you are looking at Washington you have Pentagon and then you have the Potomac River and about maybe 3-4 miles north you have the Key Bridge that goes from Arlington over to Georgetown in Washington. And that person said they were basically on that bridge. I just don’t know how you could have seen the Pentagon from there. I really had a problem, and the person was a diplomat from an Arab country. I’m not saying that because I don’t think Arabs tell the truth but I don’t think this person was in a position. First of all to have seen the plane, as he said he did, but also he was obviously trying to make it look like it’s the government official story, especially the country he happened to be from. Robles: He wasn’t Saudi, was he? Madsen: He was not Saudi but he was from another country, Arab country that produces a lot of oil and natural gas. I’ll put it that way. I don’t want to divulge something that he told me in confidence but I don’t know if this is the truth, but anyway. Really, I don’t know anyone who actually saw the plane hit, when we finally saw a video of the Pentagon, you don’t see any plane. Nobody sees a plane hitting the Pentagon. So, there is a lot of..people said they saw the plane, one cab driver said it veered off to the left but then a missile came inand that is what actually struck the Pentagon. But like David Copperfield who can make 10,000 people see something he wants them to see, so this is playing tricks with the human mind. When I was in Shanksville I talked to the coroner for that county, Somerset County. And he went out there and when he did not find any body parts he said: “Well you don’t need me here, I don’t see that a plane hit!”. And the late mayor of Shanksville said the same thing, but he is deceased now, they said he died of old age, I would like to see the autopsy on him. But anyway that is what they both said. Robles: If I could just jump back to the Pentagon for a minute, another thing like the buildings imploding and collapsing into their own footprint, right after, the lawn was untouched, the second story windows were intact, all the windows where the wings would have been were intact. I mean, it was either a missile or something small that went into this..
Madsen: Or a bomb that was already placed inside because there was construction going on, or a bomb and a missile. And what happened? The Pentagon is one of the most secured facilities on the planet and where are all the videos? Either trained on the Pentagon or in that area? I mean, the Virginia Department of Transportation cameras on the broads and that is only for traffic purposes, that is not for security. The videos from the Sheraton Hotel which is across the street, the video from the Navy Exchange Gas Station, the video from the Mall in the parking lot which is there for any crime purposes. Robles: I’m sorry, the only part of the Pentagon that blew up- the office, do you remember who was inside, the people that were killed? That section that was hit? Do you remember what was going on in there. Madsen: There was a major audit, it was the Defense Audit Service. Just the day before, I think, Rumsfeld talked about a few trillion dollars missing and they couldn’t account for it. And of course the Navy’s Worldwide Intelligence Center was also taken out in that. What information might they have had? Robles: There was also, I think if I remember right, there was about from 6 to 8 people that were working on contingency plans for an attack on a World Trade Center and the exact scenario that had been taken place in attack on the Pentagon. I think there was even a room in there where they had a small model of the Pentagon where it was hit by an airplane, and the World Trade Centers. Madsen: The 9-11 Commission didn’t look into any of this. I talked to people who worked for the CIA, NSA, Defense Intelligence Agency, you name it, the NGA that nobody has ever heard of (the National Geospatial Intelligence Agency). I spoke to people from all these agencies, they asked to testify at the 9-11 Commission, they pleaded to, and they were not allowed to by their bosses, and these were very senior individuals. The 9-11 Report was written before the actual Commission was even convened, just like the Warren Report was written before they came to any conclusions. You were listening to an interview with Wayne Madsen – the editor of the Wayne Madsen Report in Washington DC.